I Love College, But Hate My Roommates! 1. Stay friends: Live in the same residence hall, but not the same room. Moving into the same room with friends has been the demise of countless friendships. The problem many students find in living with friends is that familiarity causes them to skip “rule setting” conversations because they “know” each other. However, you never truly know someone until you’ve lived with them. Students who live with friends may find that over time personal boundaries are violated and they have to backtrack to difficult conversations that should have already been established. One of the great things about living with someone new is you do not have to be involved in every aspect of each other’s lives. Establish clear boundaries. Students should not expect to be best friends with roommates, but focus on living together peacefully. It is better to live with acquaintances or strangers and seek support of friends when problems arise. The best time to consider living with friends is during sophomore year after everyone has residence hall experience. 2. Do not involve parents or others in roommate conflicts. If students have roommate issues, they should attempt to solve it without putting parents in the middle of the conflict. The more people involved, the more convoluted things will become. Parents can be used for counsel, but it is important for students to use their own words to resolve issues. 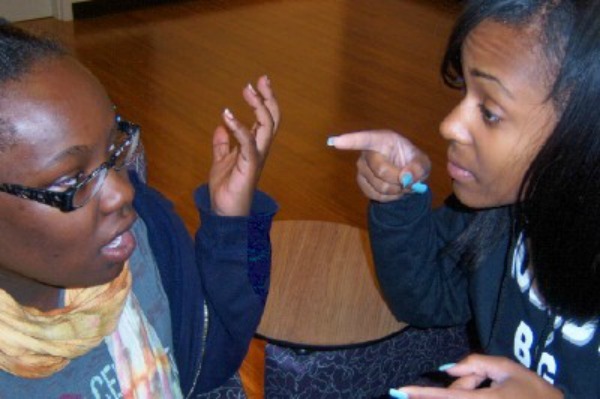 Resident Assistants are a resource available to help with particularly difficult conversations. 3. Establish a roommate contract. Many universities require residents to create a roommate contract that helps normalize things like quiet/bed time, television/game time, overnight guests, cleaning days, sharing of product expenses, shower schedule, and temperature control. Even the most miniscule differences in living preferences can cause contention between students. Roommate contracts can be negotiated and changed as new situations arise. This contract also includes clauses to discuss personal boundaries (belongings, clothing, products, snacks and even books), and if one roommate has a car, usage/non-usage and gas sharing should also be included. Communication is key to any successful roommate arrangement. Time should be set aside every month (more frequent when there are problems) where roommates gather to voice concerns. This is a good time to discuss feelings as well as clear up any miscommunications or problems. A good method for these meetings is the “round robin” method, where one person speaks at a time. Resident Assistants and other staff are available to mediate difficult conversations. Failure to communicate with each other can result in an uncomfortable living arrangement as well as provide a stressful environment, causing an inability to concentrate and poor academic progress. College is not home or high school. Any type of physical altercation, threat through social media bullying, or messing with someone’s “stuff” is cause for dismissal from the university. It is surprising how often intelligent students make poor decisions when living situations get heated. Whether or not roommates always like each other, it is important to treat others with respect, patience and good manners. Jacquelyn worked with her Resident Assistant and successfully negotiated a roommate contract using the rules described above. The friend from home moved into the room next door, and with help from The Counseling Center all roommates were able to continue their friendships as study partners and later ­­­as sorority sisters. (Ebony Harris, Junior at Central Michigan University and a Student Assistant for the GEARUP/Pathways Office, contributed to this post).